So much happened at the weekend. After months of preparation, Around the Table finally happened. I have started to write this post lots of times but each time it just doesn't seem to do justice to the amount of fun that we had. We'll start at the very beginning shall we? To get all her favourite bloggers from around New Zealand together in one place. To have fun, and build on the friendships that we had all started online. 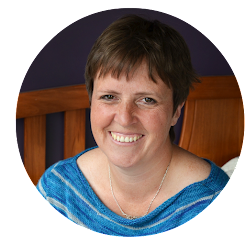 One day, she shared her dream with some other Christchurch bloggers and slowly the seed of a plan was planted. We started to plot and scheme and make plans. I am pretty sure that I'm going to miss the Thursday night meetings with Miriam and Treena-Marie which have become a regular part of my week. It often amazed me how much organising we managed to squeeze in amongst the chat and laughter. We discussed so many different aspects of the weekend, but our main hope was that it would be warm, welcoming and inclusive... I am pretty sure that we succeeded in this aim, as every time that I looked around everybody was chatting enthusiastically. I did my very best to talk to as many people as possible, sorry if I missed you. It was very special getting to know people whose blogs I have been following for years, as well as meeting and connecting with Christchurch bloggers who I had never met or only briefly met in passing. So many new real life friends! It was amazing having so many talented New Zealand bloggers all together in one place. I hope we can do it again soon! I must admit that every time that I think about the weekend, a huge big grin crosses my face. I think of the laughter, the friendships and generally marvel at the fact that we did it! I still can't quite believe that it all came together as well as it did. I keep saying this but I really must say a heartfelt thank you to everyone who came along, who got into the spirit of the event and who helped out in whatever way they could. We couldn't have done it without you! I decided to experience this weekend fully rather than from behind a camera, I only have a handful of photos that were taken on my phone on Sunday morning. All the photos on this post are from the photo booth that was set up at the meal on Saturday- so much fun! great work team, great work. it was what that new newfangled word i keep seeing around the place (ok, facebook) was invented to describe, AMAZEBALLS!!! It was an Amazing weekend, only because of all the hard work you and the team put in! Thank you! It was lovely meeting you and I hope it's not too long till we meet again!